I’m performing at some exciting events / places over the next couple of months. 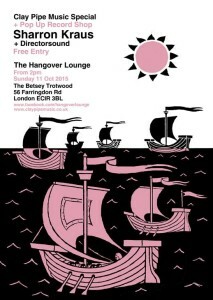 Coming up this sunday (Oct. 11th) is a Clay Pipe Special at the Betsey Trotwood in Farringdon together with Directorsound. Nick Palmer will be joining me on bouzouki for some of my set, as will be Olly and George Parfitt, on Moog and drums respectively. 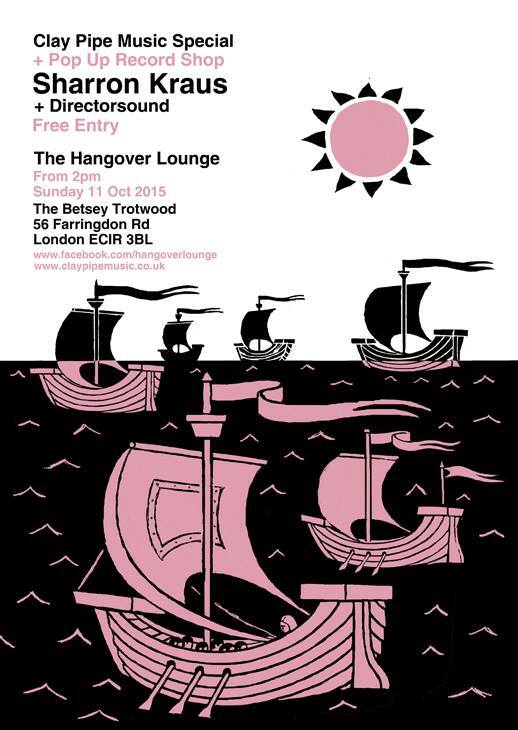 Frances Castle has designed some gorgeous posters, which will be available as freebies on the day. Later this month, on October 24th I’ll be taking part in ‘Spectral Landscapes; Explorations of the English Eerie‘ at the Old Fire Station in Oxford. It’s an evening of film and discussion centred around the work of filmmaker Adam Scovell, who I met at ‘A Fiend in the Furrows’ last year. Adam’s blog – Celluloid Wicker Man – is a great resource on cult films, film music, folk horror and his recent short film collaboration with Robert Macfarlane, ‘Holloway’ is mesmerising. I’ll be giving a short film and video presentation called ‘In the Vale of the White Horse’ as well as performing in collaboration with Arianne Churchman. 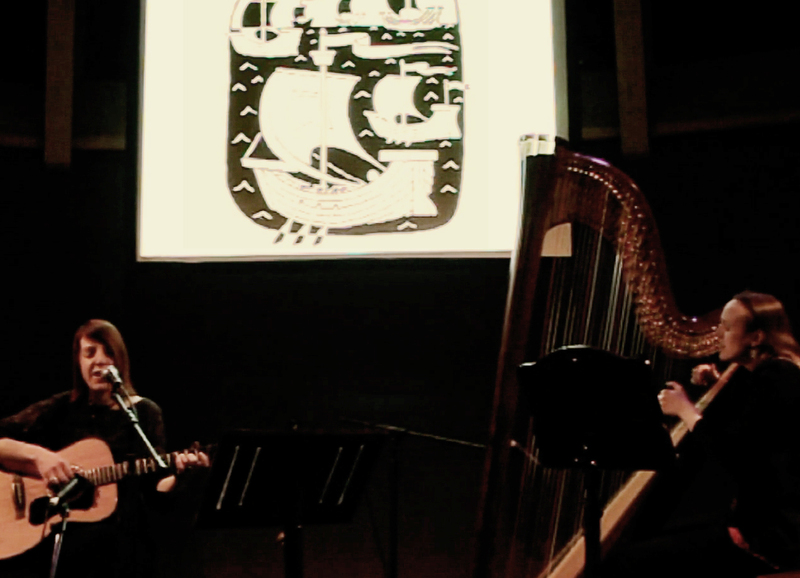 Towards the end of October, Harriet Earis will be joining me for a couple of concerts, one in Sheffield and one in Loughborough. We’ll be performing songs from Friends and Enemies; Lovers and Strangers, a rare occurrence given that Harriet’s in Mid Wales and I’m in Sheffield. 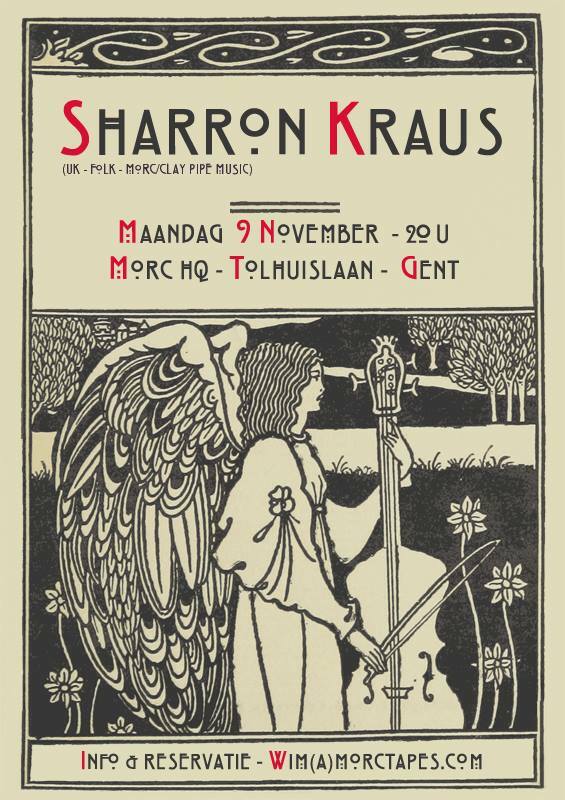 Next month I’m off to Belgium and Germany to play some shows. It’ll be great to return to Belgium again, and it’ll be the first time I’ve gigged in Germany, so I’m excited about that. 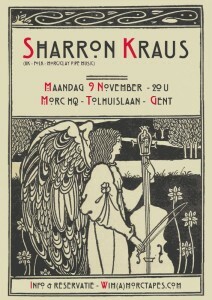 Here’s a lovely poster Wim at Morc has designed for my Gent show.